Looking at a Sunflower or Daisy from a different perspective makes a drawing unique. 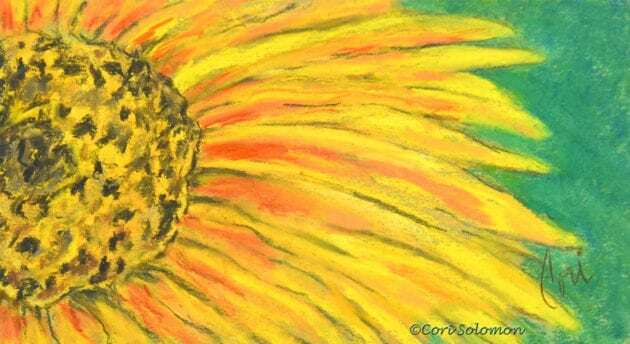 That is exactly what I accomplished in this pastel drawing while bringing out the yellow and orange hues in this flower. This drawing was created from a photo taken by my friend photographer Tenley Fohl. To purchase this Italian Greyhound Painting email Cori.